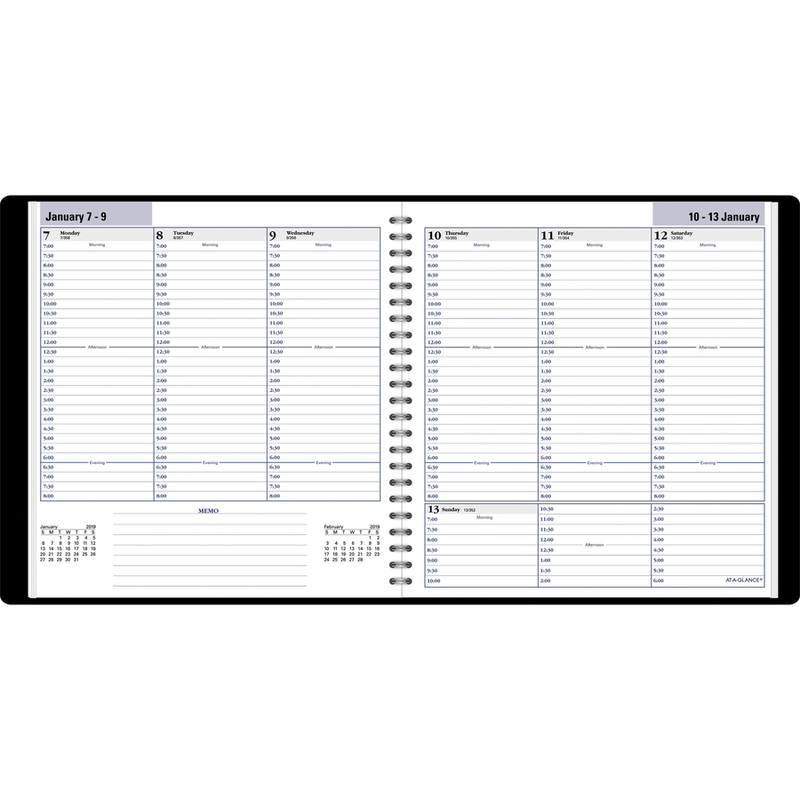 Weekly appointment book lets you plan your week and stay on top of your schedule. Dated planning pages range 12 months from January to December. Two-page-per-week spreads feature daily ruled columns; half-hourly appointment times from 7 AM to 8 PM on weekdays and Saturday and 7 AM to 6 PM on Sunday; Monday-through-Sunday scheduling; count of days/days remaining; a ruled memo section; holidays; and current and future months reference. 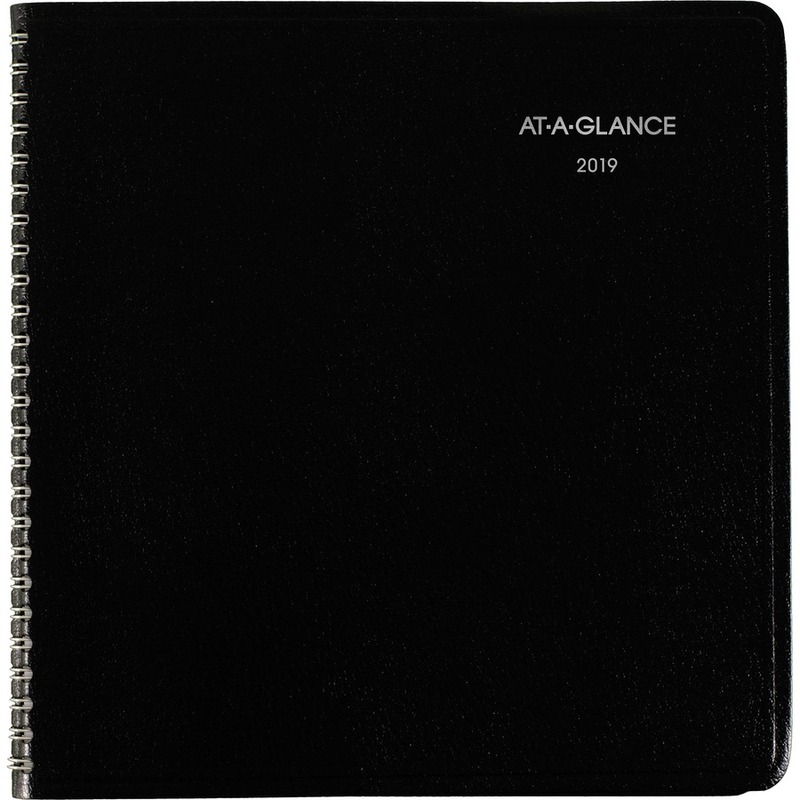 Nonrefillable appointment book also includes a simulated leather cover and wire binding. 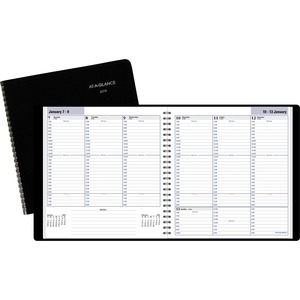 Wirebound calendar pages are printed on quality recycled paper.